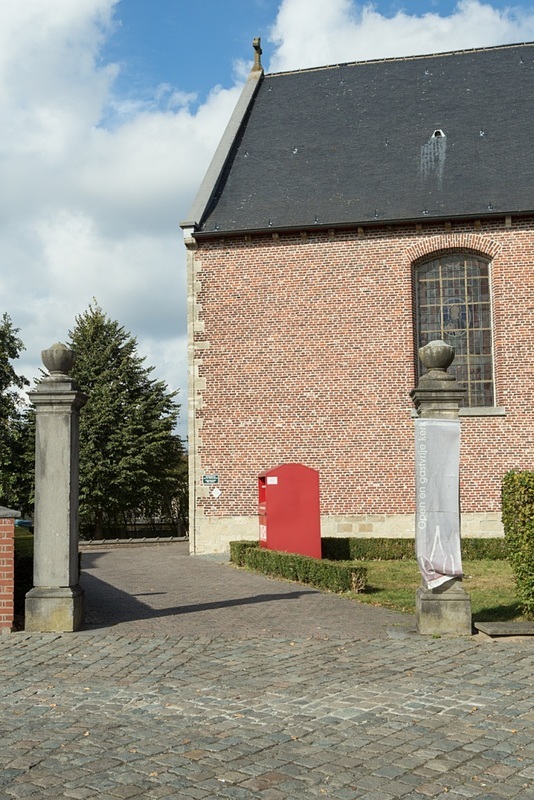 The village of Sint-Lievens-Esse is located south-west of the town of Aalst off the N42. From the motorway E40/A10, which runs between Oostende and Brussels, turn off at junction 17 onto the N42, direction Geraardsbergen. 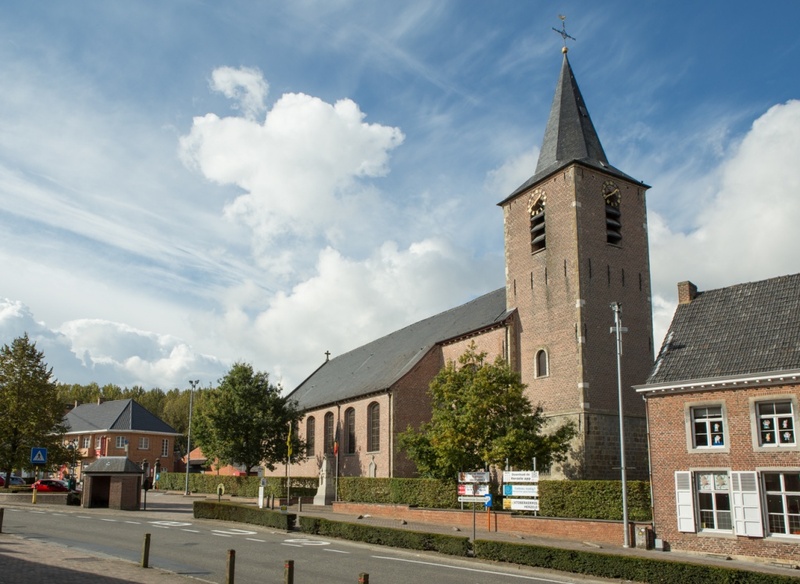 Follow the N42 to the village of Wijnhuize and take the turning on the left called Schipstraat, direction St-Lievens-Esse. At the first crossroads in the village turn left into Populierestraat and the church is at the end of here in the Markt. 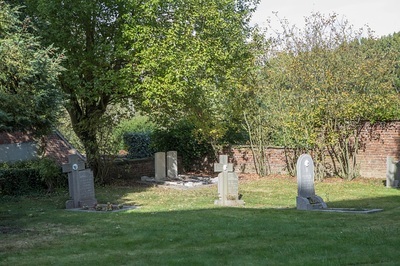 The graves are located to the rear of the church. St. Lievens-Esse Churchyard contains two Commonwealth burials of the Second World War. 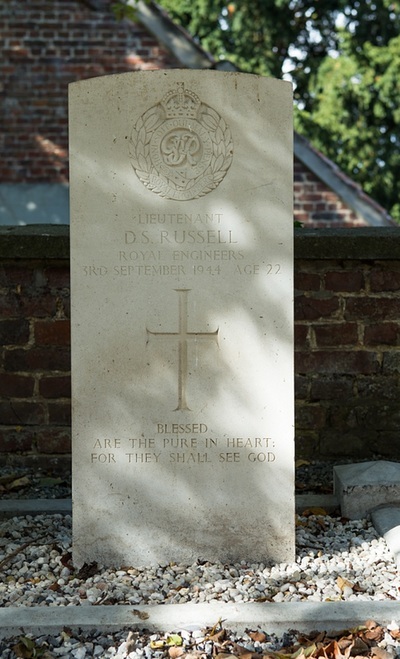 229332 Lieutenant David Scott Russell, 13 Field Squadron, Royal Engineers, died 3rd September 1944, aged 22. 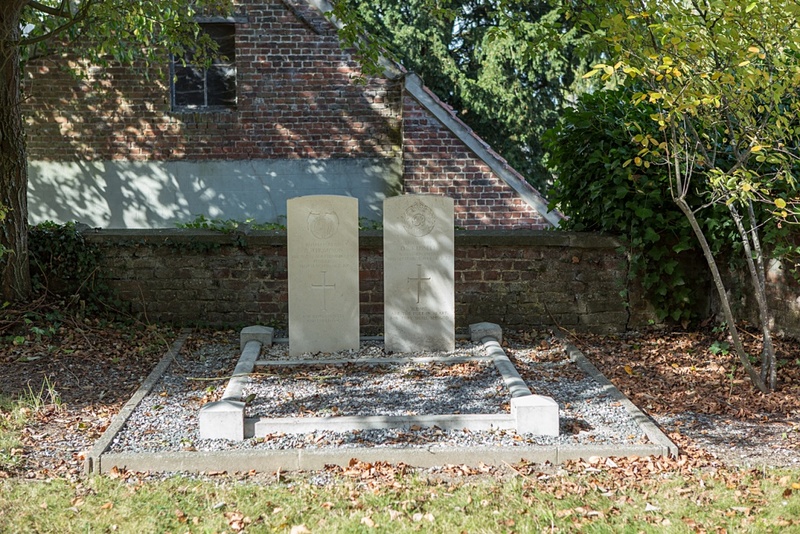 Son of Lt.-Col. James Robertson Russell, Royal Engineers, and of Constance Katherine Russell, of Wimbledon, Surrey. His father also died on service. 4273444 Fusilier Albert Thompson, 4th Bn. Royal Northumberland Fusiliers, died 19th May 1940, aged 20. 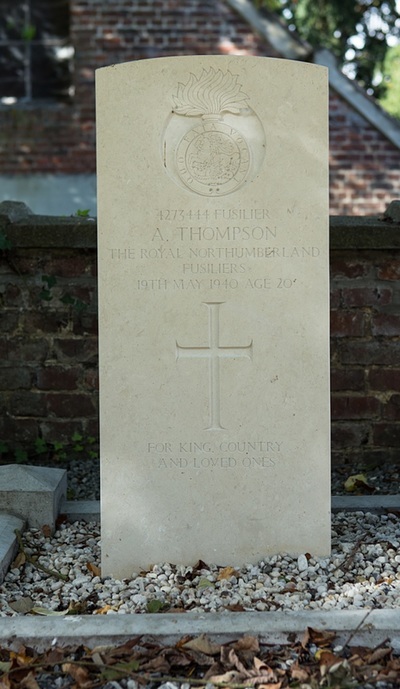 Son of Walter and Jane Thompson, of Hexham, Northumberland.